*For members who had technical issues and still need to register at the early bird rate. Proven Strategies in Career Counseling and Coaching"
As professionals in the Career space, we often deal with client issues around change, uncertainty, self-confidence, clarity around purpose, and mental health. This conference will hold multiple sessions around these topics and offer practical and proven techniques that enable professionals to successfully empower and support clients. An all day professional development opportunity for career development professionals. Free parking on site is available for all attendees. All prices include breakfast, lunch, parking, and CEUs. DNA Behavior, a sponsor for GCDA’s 2019 Conference, is offering each conference attendee a free report that describes your unique workplace talents. Upon registering, you will receive a link to take the short assessment. DNA Behavior will be onsite at the conference to discuss how you can use the results to better understand individual communication styles and accelerate performance. FranNet, a sponsor for GCDA’s 2018 and 2019 Conferences, invites each conference attendee to take a free confidential online Franchise Readiness Assessment. Simply visit FranNet.com and click the button at the top. Upon completion, you'll instantly receive your 11-page customized profile report. A FranNet Associate will be onsite at the conference to discuss how this tool helps you assess your entrepreneurial core competencies, leadership and work style, your risk profile and the characteristics of businesses aligned best with your goals and needs. While the two professions may sound similar, career coaches and career counselors perform different tasks. Understanding the differences between career coaching and career counseling is fundamental for career development practitioners. The two concepts may mirror congruence. However career counseling and career counseling require different techniques and training for implementation. Mastering the distinction between the two principles can help build a stronger alliance with the client. The session will discuss specific techniques that are utilized to cultivate both the coaching and counseling process. Dr. Sharon Givens is a researcher, a licensed psychotherapist and supervisor in South Carolina. She is also licensed to practice in North Carolina and Virginia. Sharon is a career counselor, professional trainer and academician. She is the CEO and Director of Visions Counseling and Career Center LLC., (VCCC). VCCC is a premier private practice offering career counseling and coaching, mental health counseling and psychological testing with locations in Columbia SC, Fort Mill, SC and Charlotte, NC. Sharon is also the sole proprietor ofTraining Visions, an international training firm, dedicated to providing customized training in the areas of career development, diversity and mentoring. Sharon has an undergraduate degree in social work with a minor in psychology. She has a graduate certificate in Psychiatric Rehabilitation and a Master of Science in Counseling and a Master of Education in Adult Education. Sharon also has a doctorate in curriculum and instruction with a cognate in counseling. Sharon was the recipient of the Lorin Anderson Award for Doctoral Research. Dr. Givens is a National Board Certified Counselor, a Board Certified, Tele Mental Health Provider, Certified Career Counselor, Board Certified Life and Career Coach, Human Services Board Certified Practitioner, Approved Clinical Supervisor, a Global Career Development Facilitator, a Career Development Facilitator Instructor, a Certified Career Services Provider, National Career Development Association Master Trainer and a True Colors Facilitator. She has developed and conducted over 300 training/seminars across the country and in West Africa. Her specialty areas are career development, mental health issues, twenty-first century skills, work-life balance, instructional design, cultural sensitivity training and dialogue, and program evaluation. Dr. Givens is active in several organizations. 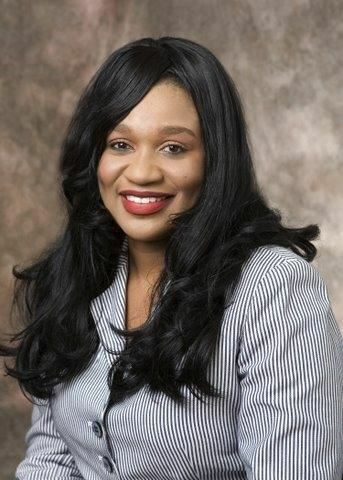 She is a member of the National Career Development Association, American Counseling Association, Association of Talent Development, Chi Sigma Iota- Honor Counseling Fraternity, the International Mentoring Association and. Keynote: Dr. Sharon Givens: "Career Counseling and Coaching: Approaches for All"
Kali DeWald, BCC & Maggie O'Brien, NCC: "Transformative Coaching Appointments: Using the Stages of Change to Empower Clients and Students"
Malisa Anderson-Strait: "Company Lists that Expand Career Opportunities: Getting Job Seekers Out of Their Search Comfort Zone"
Andrea Holyfield: "Vision Boards: A Powerful Career Development Tool for All Ages"
David Harris, MTS, MS: "Measuring Progress, Measuring Success: Mentoring career clients in the first five minutes"
Jill Forest, MS: "Thriving as an Introvert in Your Career"
Alex Bryant, MPA: "Chaos Theory of Careers: Practical Approaches for Clients to Navigate the Changing Nature of Careers"
Further information about the workshops and presenters can be found under the Conference tab on the website.